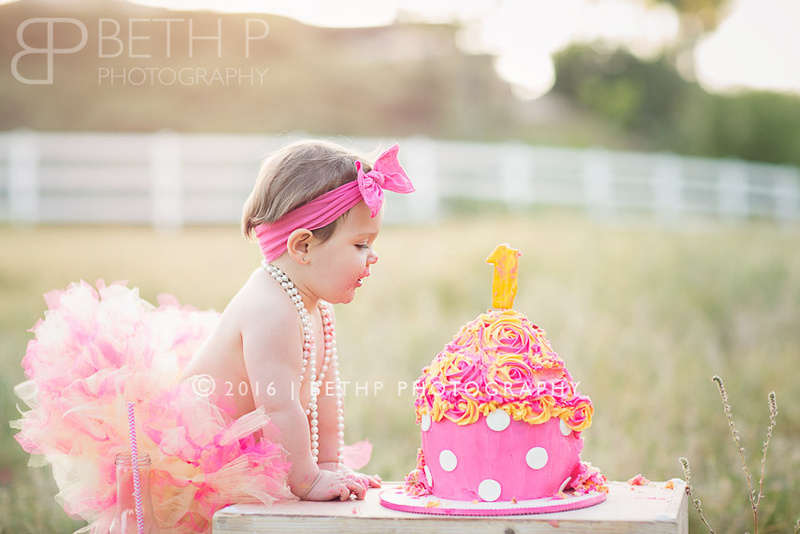 We had the best time celebrating Morgan’s first birthday with a smash cake session! 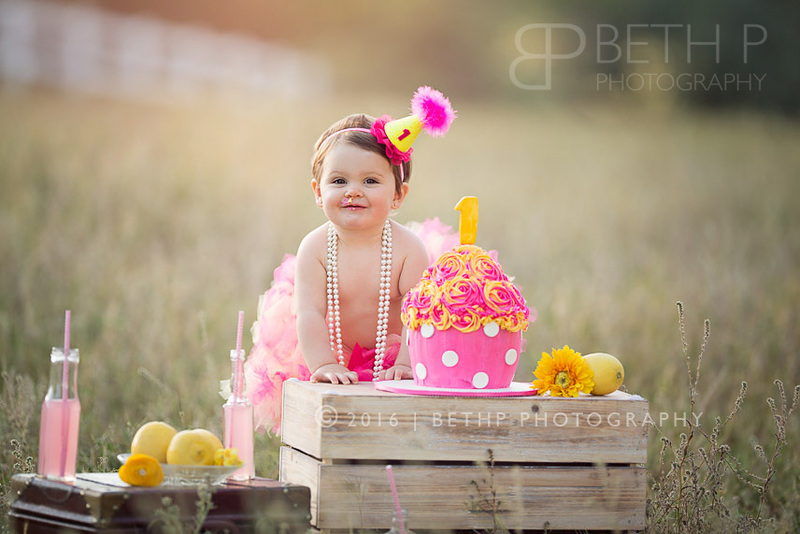 Morgan’s mom chose these awesome colors and we created this lemonade stand set for her cake smash. Morgan is the youngest of 4 sisters. They are truly the best big sisters and are all so patient and kind. 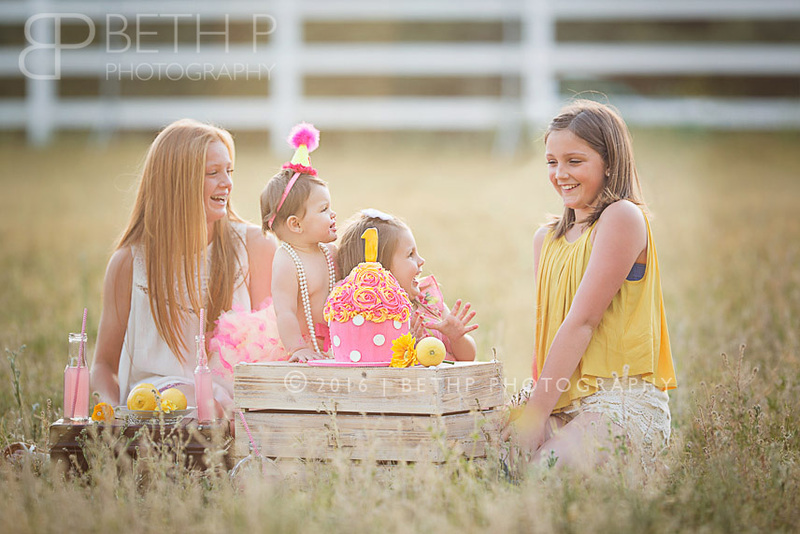 They were such good sports and even joined in the cake smash fun. 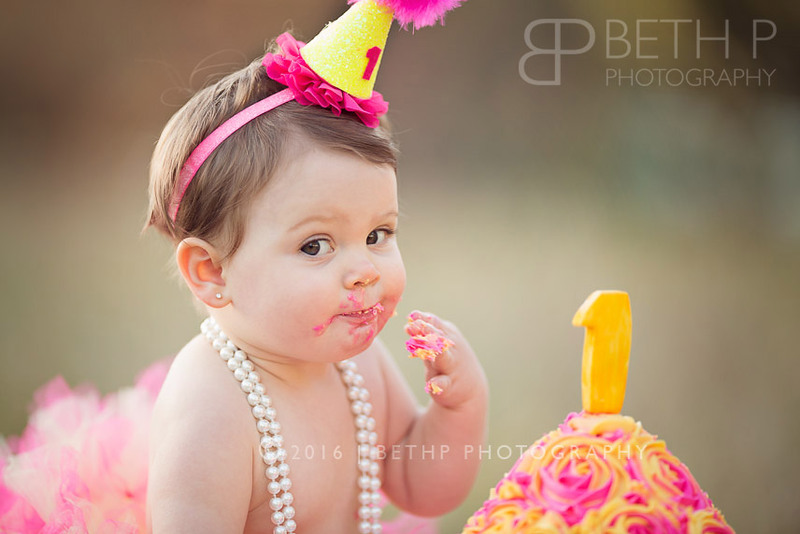 Happy Birthday, Morgan! 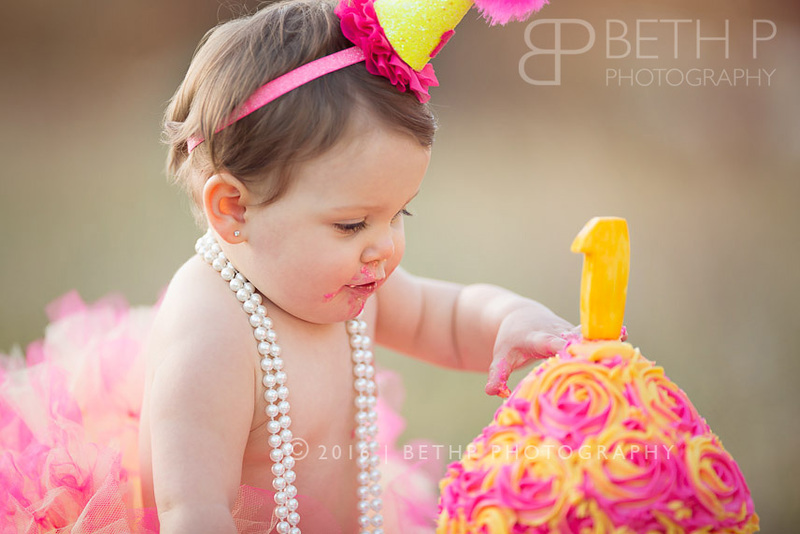 I always start a cake smash session with a set of one year baby portraits. 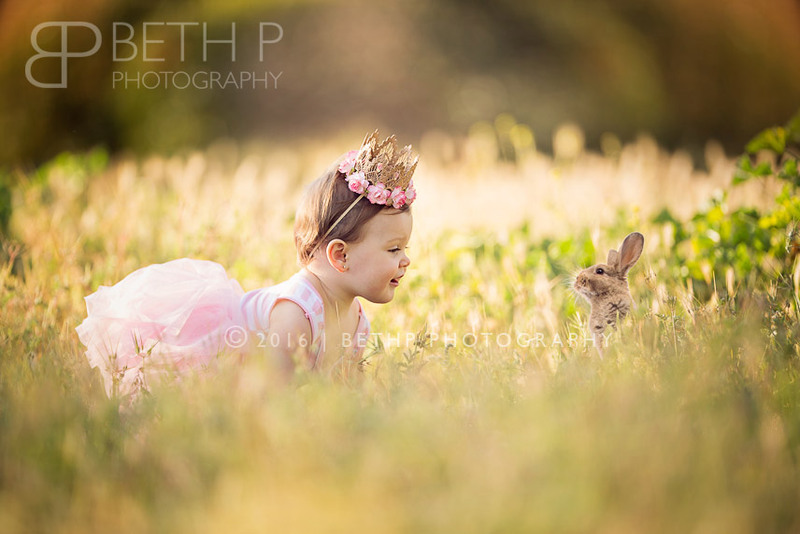 I LOVE this image from the first part of her session – Morgan meets the Easter bunny.